Allez! Allez! 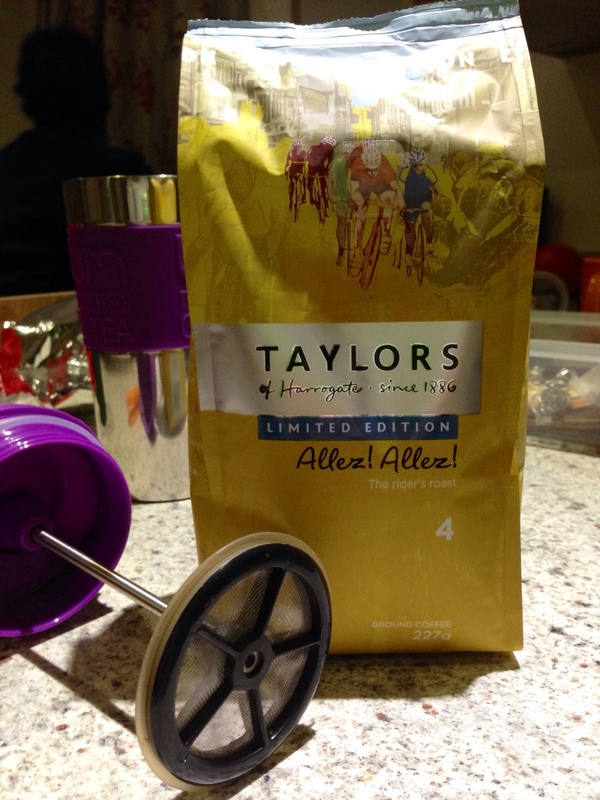 is a ground coffee from Taylors of Harrogate. It’s been made to celebrate the Tour de France starting in Yorkshire this year. I don’t normally have ground but going on holiday for a week means it’s either ground or it’s a coffee free week. I really like Taylors’ Italian blend and was also impressed by the Indonesian beans, so I was looking forward to trying this. I have to say, I wasn’t massively impressed. It wasn’t that it tasted horrible or was too bitter, it just tasted a little dull to be honest. It could be because I used ground instead of beans. I think it’s great they prepared a blend to celebrate the Tour de France, I simply wasn’t pushed to allez allez anywhere! With the world’s biggest cycling event setting off from Yorkshire, we’ve crafted a deep, nimble blend that’s as perfectly balanced as the riders.